Biospringer, like our parent company Lesaffre, is committed to run a business respectful of its planet and its people while remaining profitable, with a goal: better nourish and protect the planet. Sustainability and social responsibility are guiding principles across all operations and decision makings. Biospringer uses raw materials sourced from farming to produce yeast and yeast derived solutions. 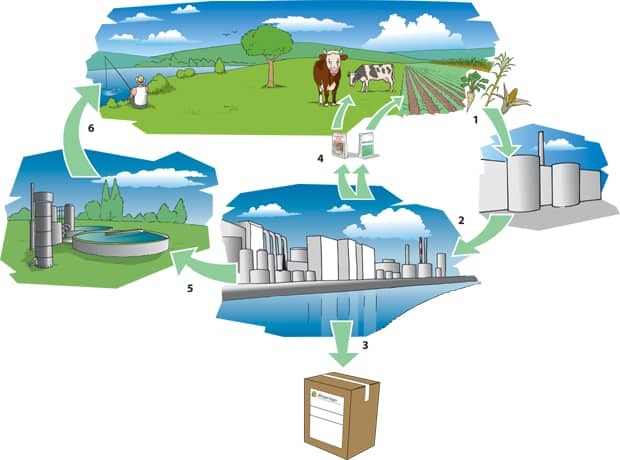 Production processes are optimized continuously to reduce waste of by-products but also of energy and water. The by-products collected from our manufacturing facilities are returned to the fields and used as feed for cattle. We also recycle the water, sanitizing it at nearby treatment facilities. Lesaffre dedicates 15% of its industrial investment to the protection of the environment, and relies on the talents of its staff to develop good environmental practices which are then widely applied throughout the Group. The individual men and women who work in our teams have always been, and will always be, at the heart of our success. When Lesaffre establishes a presence in a region, it seeks to create a social link by promoting employment, education, training and health. Lesaffre, in conjunction with its fellow stakeholders, gives priority to the challenges of social and environmental responsibility, which are factors for innovation and sustainable growth. Want to know more about our engagements?